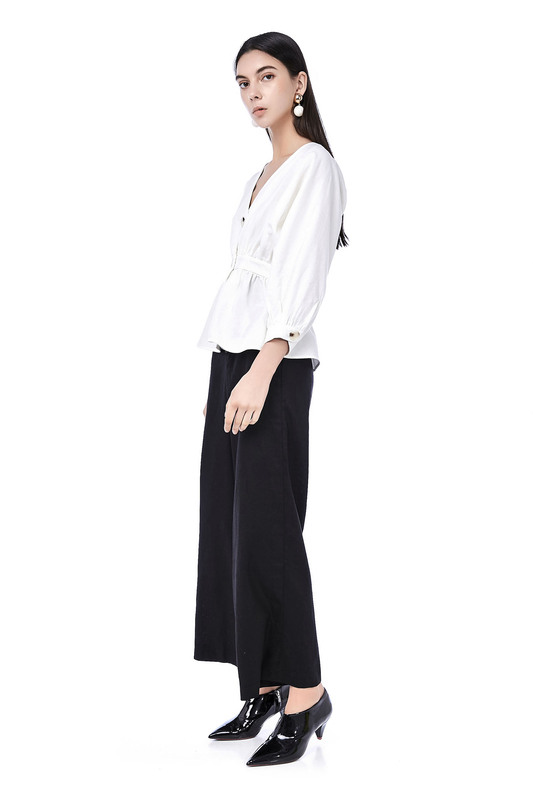 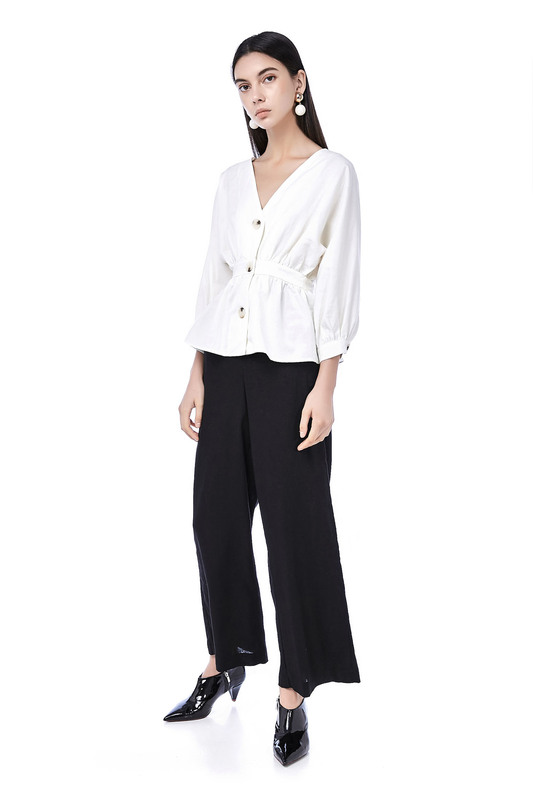 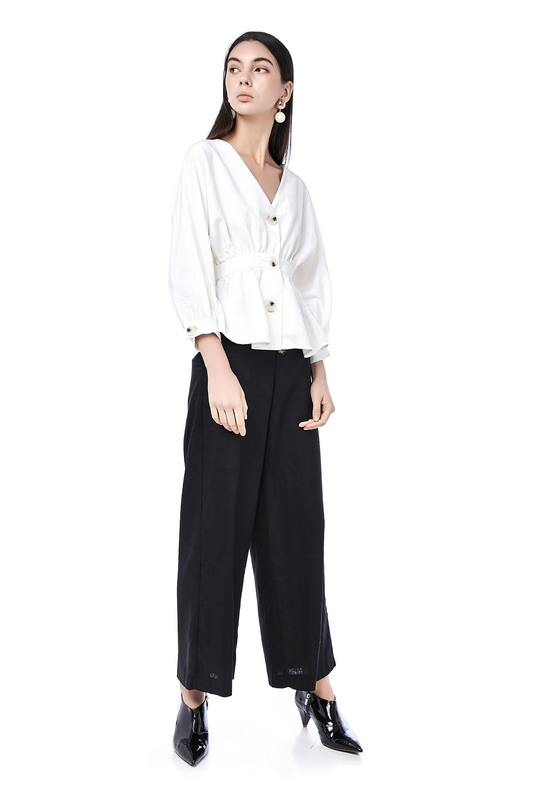 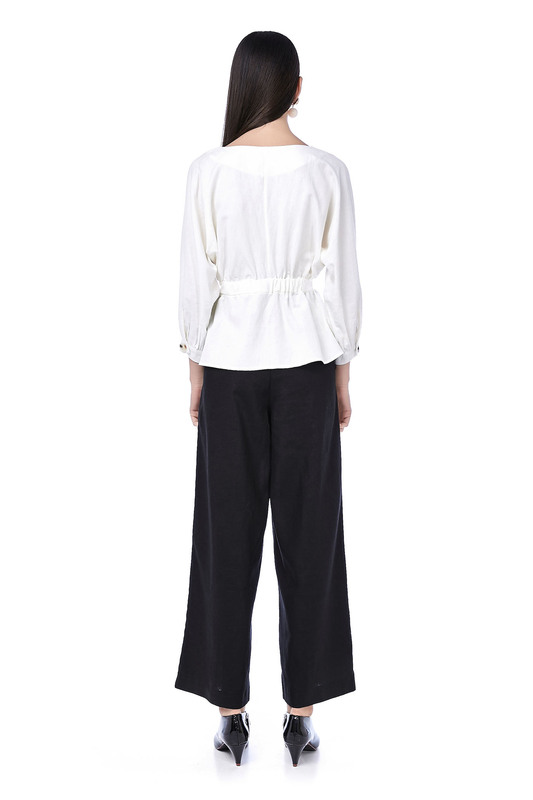 This long-sleeved blouse is made from cotton. 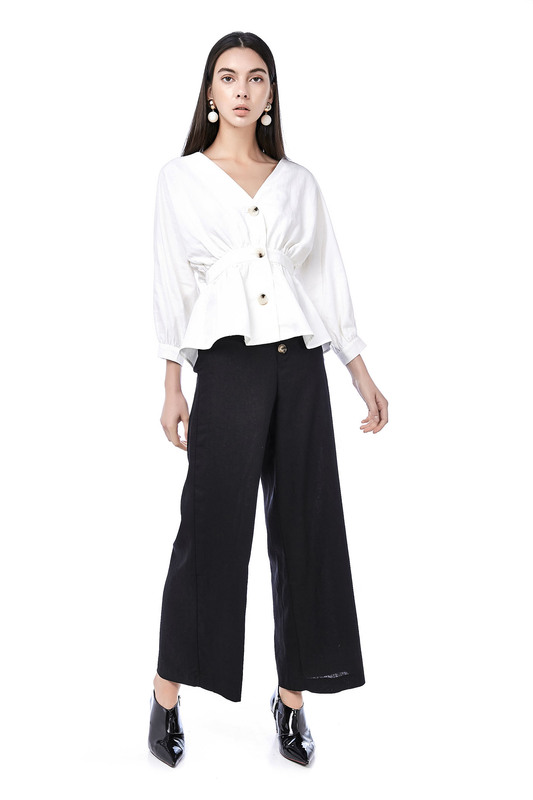 It has a v-neckline and features large button detail on the front, made in a relaxed fit. 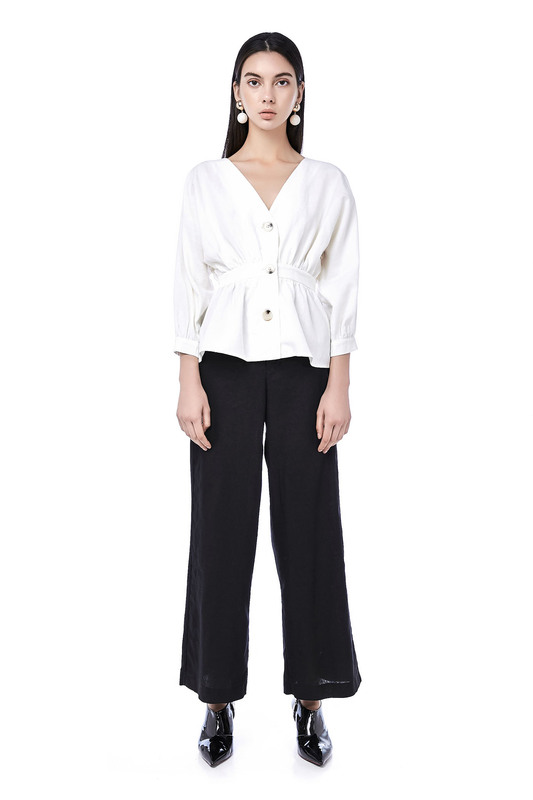 WAIST 25"/27" 27"/29" 29"/31" 30"/32"
LENGTH 23" 23.5" 24" 24"